Fence Builders San Diego is the best choice as your local fence contractor. We stand out among all the fence companies in San Diego, guaranteeing you the most sincere customer service, the best fence installation and repair, and the highest quality fences. Other companies cannot match up to us – Fence Builders San Diego never stops working to improve our services so we can always provide the best in the fencing business. With professionally trained fence builders and the most updated tools and technologies, we stand tall above our competition, giving our customers a sense of pride and satisfaction when they choose to make us their choice fence company in San Diego. There is no need to look any further than here if you are looking into getting a fence installed on your property or if you need any fence repairs done to an existing fence. 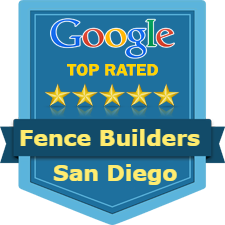 Let us be your go-to fence contractor in San Diego and you will never be left unsatisfied. San Diego Fence Builders offers the most hassle- and stress-free fence installation experience in San Diego. Starting from the very beginning when we first speak about your interest in fences, you will be getting the best treatment from our customer service and fence installation experts. We want to make the fence installation experience the best experience you have had since first having your home or business. Getting a quote is easy, making an appointment is easy, and getting everything set up for us to begin fence installation is easy. You never have to worry about getting any permits or meeting requirements for different types of fences (for example, pool fences) as required by the city of San Diego. We take care of everything from start to finish so you never have to even think about the fence installation. You already have a busy life to deal with, we want to make sure we take this responsibility off your shoulders. All our fence installations are done in minimal time, although construction times vary for different types of fences. Each fence that we leave you with is guaranteed the best quality, strongest fence that any fence company could install. Each step of the installation is done with care by our team of fence builders that have years of experience in the fencing career. Fence Builders San Diego has the best trained professionals in the fencing field. When you choose us to be your fence contractor, you are signing up for the most outstanding fence you can find in San Diego. No matter what your fence installation needs are, we can take care of them. We have many years of experience working with fences and with the amount of training that our fence builders have been exposed to, there is almost nothing that we can’t do for our valued customers. We train our fence builders to be innovative, to think outside the box, so when we are faced with any obstacles, we never have a problem overcoming them. Our ability to overcome obstacles will allow you to always feel at ease. You don’t want to have to wonder if something could go wrong during the fence installation process, so we make sure that you won’t have to think about that. We will be open, honest, and communicative about the installation process as we progress so you can always feel included during the job. After all, we will be working on your property, so we want to make sure everything stays okay with you along the way. We truly care about our customers and we know that our fence installation is our opportunity to make a first impression on you. We are confident that the first impression you have of us will be a good one so we look forward to proving that to you. When you get a fence installed on your property, you want to make sure you are able to decide what the final product will look like. At Fence Builders San Diego, we give you many different options to customize your fence so that the fence we give you fits your image perfectly. Fence Builders San Diego are dedicated to giving you the fence of your dreams, so feel free to discuss with us your plans for your fence. We can work together to come up with a final design so we can begin installing it on your property. Each fence will be one that you can feel proud of every time you see it, knowing that it impresses everyone who walks by it. All our custom fences are built to be strong and durable so while it will look fantastic, the fence will also last you a long time. There is no other fence contractor in San Diego that can offer you the same customizability that we can. Our custom fences are also affordable so you don’t have to fear the cost. We never overcharge you for our services, we like to be honest about the work we do, so we can definitely be a fence company that you can trust. This trust is important especially since you are trusting that we get your customization right. We promise you that we will double-check with you before we make any permanent decisions or moves so that you aren’t left confused or upset with the final product if it doesn’t look exactly how you wanted it to. If you are looking into getting a custom fence done, let us know and we will be excited to begin working with you. Realizing that something has damaged your fence can be disheartening, stressful, and sad. After going through a lot of work to raise the money to get the fence in the first place, now you are faced with needing to schedule and pay for repairs. Fence damage never occurs at the right time either, so it can be difficult to find a solution if you are already under a lot of stress. Fence Builders San Diego is here to help you so that you do not have to deal with your damaged fence alone. Our fence repair services are quick and effective so that you don’t have to live with your damaged fencing for long. Our goal at Fence Builders San Diego is to keep your fence functioning as it should so each of our repair jobs is done with care. We don’t want to leave you with any potential problems, so our fence repair experts make sure to check and double check that our repair jobs are perfect. We give our fence builders all the tools and materials they need to make sure all your fence repairs are done right the first time. Our repair services are available full time upon request. We can cover damages caused by storms, earthquakes, mudslides, fires, accidents, and more, so no matter what kind of damage you are facing, we can fix it for you. Just like our fence repair services, our gate repair services offered by Fence Builders San Diego are the best gate repair services offered in the area. We know gates just as well as we know fences, so your gate repair will go just as smoothly as any other repair we make. Our gate repair covers the same types of damages that can occur on your fence but it also covers problems with hinges, latches, or other functional issues. If your gate is not working the way it should, it becomes almost useless. If it can’t open, if it can’t close, if any self-closing or self-latching functions break, then you really can’t rely on the gate for security or safety any longer. We know that this is not an easy thing to deal with, so we make all our gate repairs in such a way that we leave no room for future problems to arise. Especially on gates that are installed for safety purposes, like on pool fences, it is extremely important that the gate functions as it should. Cases like these are of special priority to us because we value our customers’ and their families’ safety above everything else. Whether you need your fence for your residential or your commercial property, Fence Builders San Diego can give you everything you need out of your fence. We specialize in both types of fencing, offering you impeccable installation and repair services for any type of fence that you have. 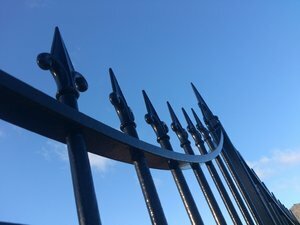 Our quality fences add a wonderful addition to your property, providing even more curb appeal than you already have, and adding an extra bit of safety and security. On your residential property, we help you with permits and HOA approval so that we can install your fence as efficiently and stress-free as possible. We also get the permits for commercial fences, so if you want a fence or multiple fences installed on your commercial property, you won’t have to worry about that. It is important to us at Fence Builders San Diego to give you a fence that you can be proud of, that you can feel good knowing that you got the best fence you could find in San Diego. All our fences are built to last and look great. If you need help deciding what type of fence or fences are best for your type of property or needs, we can gladly assist you in making the decision. Our fence builders are all widely knowledgeable about all types of fences so we can help you find the one that is perfect for you. Why Choose Fence Builders, the Best Fence Company in San Diego? Our products, services, and customer reviews speak for themselves. We never give anything less than our best from the moment we begin working with you and we make it a priority to give you everything you need when it comes to your fence, installation, and repairs. All the materials we use to make our fences are the highest quality – we never go cheap on anything so that we can give you the very best fence we can. Other companies may not do this for you, but with us you can guarantee that no part of our fence installation or repairs are done cheaply. We care about you like we care about all our neighbors and we would love the opportunity to prove that to you. Let us be your fence contractor to give you the fence you’ve been waiting for, we promise you that you won’t regret it. Fence Builders San Diego is the best option for your fence company. Are you ready to get your dream fence installed on your property? Call Fence Builders San Diego now so we can get started. Your fencing experience will be pleasant from start to finish and even beyond. The services we provide and the quality of fence we give you is immeasurable and cannot be compared to anyone else because nobody can even come close to what we can offer you at Fence Builders San Diego. 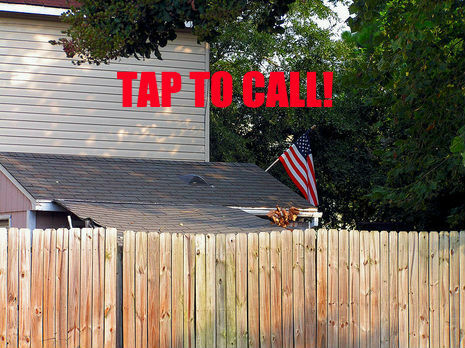 We are very great at communicating, keeping you informed, and letting you make all the final decisions and requests about your fence. 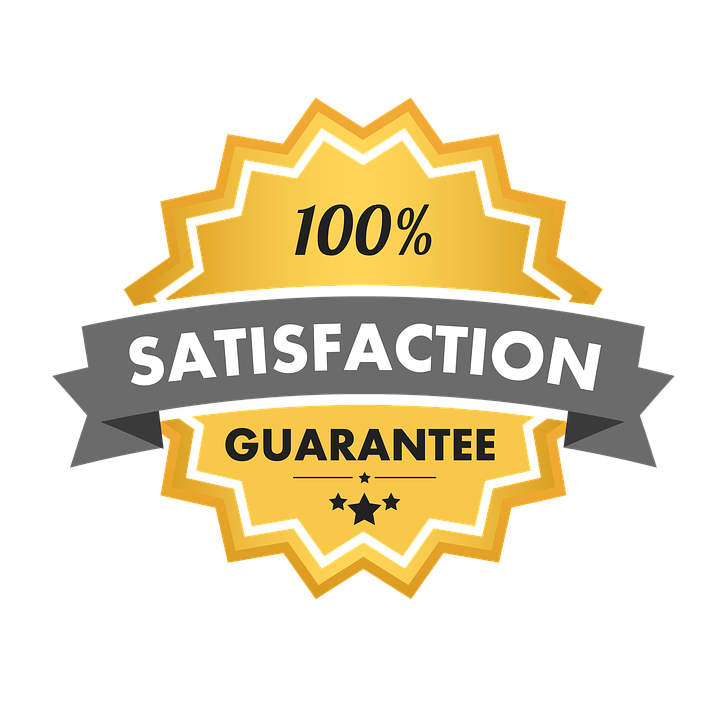 The whole process of getting a fence installed, repaired, or inspected will always be smooth and enjoyable, and every product that we leave you with will be even more enjoyable. Fence Builders San Diego is extremely devoted to giving you everything you need to be happy with your fence for your property. When you are ready to have the best fence experience of your life, do not hesitate to call Fence Builders San Diego. We know that we can offer you the best fence services in San Diego so we are very excited to begin working with you on your property. If you have any questions about any part of the fencing experience, please let us know and we will make sure everything is clear before we get started. Fence Builders San Diego is located in the gorgeous heart of San Diego, only 20 minutes from San Diego International Airport, and 10 minutes from San Diego State University. Being centrally located allows us to offer fence installation services in San Diego County. Directions from San Diego International Airport (SAL) to Fence Builders San Diego: Head East on N Harbor Dr. Turn left onto W Grape St. Use right lanes to take Interstate 5 S Ramp, merge onto I-5 S. In one mile, take exit 15B for CA-94 E, then continue on CA-94 E for 3 miles. Take exit 4A for Euclid Ave. Stay left at fork, follow signs for Euclid Ave N and merge onto Euclid Ave. After 1.4 miles, turn slightly right onto 54th street, then right onto Streamview Dr. Directions from San Diego State University to Fence Builders San Diego: Head North on Campanile Dr, turn left onto Hardy Ave, then turn left onto 55th Street. In 0.6 miles, turn right onto Montezuma Rd., then in 1 mile turn left onto Collwood Blvd. Continue to 54th St., then turn left onto Streamview Dr.